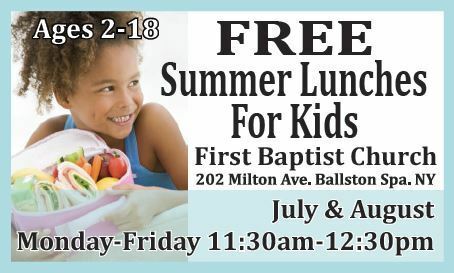 ​​The Ballston Spa Summer Lunch Program provides free lunches to children of families in need. Volunteers are needed to make, pack, and distribute lunches. It's only a few hours a day, but it is making a difference in these children's lives. The program ran this summer from Thursday July 5th until Friday, August 17th, 2018. Children under 12 are not allowed in the kitchen areas so please keep this in mind when considering volunteering. We are looking forward to working with the First Baptist Church next summer (2019). We are hoping to make this another great summer for some children in need!